How To Introduce A New Partner To My Cat? 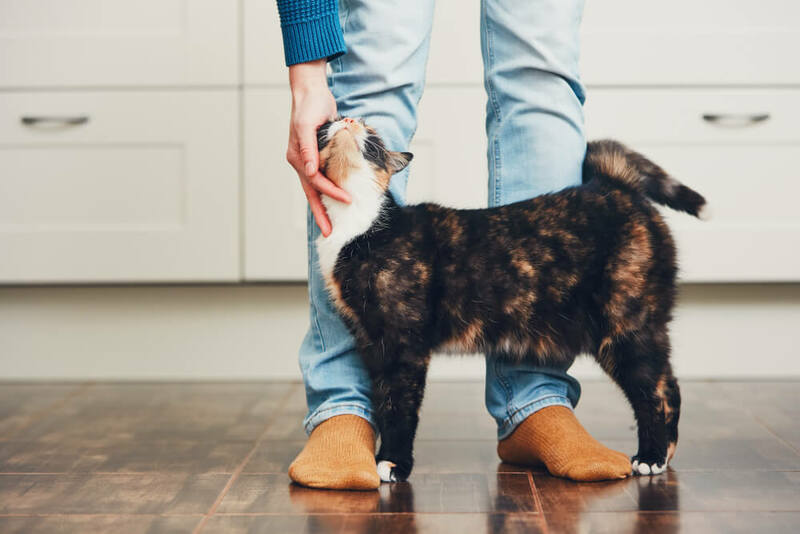 Introducing your cat to a new partner, housemate or any other human fixture in your life comes with the same risks and rewards as meeting the other members of your family. Both parties are likely to be nervous and your cat will want a good first impression to become settled in their company. Here are 4 tips to get your loved ones started on the right foot. Cats, like us humans, are creatures of habit. These kitty habits are the very thing the new arrival threatens to change: pre-existing, well-maintained kitty routine. Throughout their first meeting with their new friend, aim to maintain the safe environment your cat has always enjoyed. Same goes when you want to introduce a new cat in the family or even a new dog to your cat. 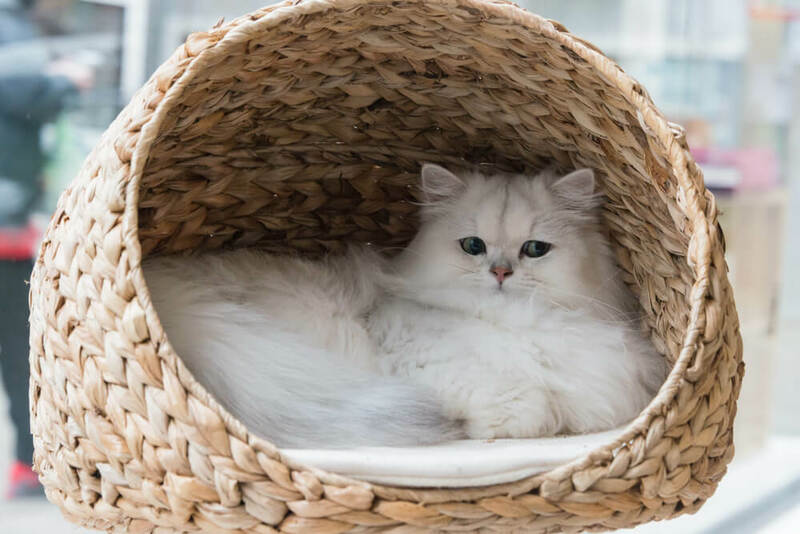 Cats love blankets and toys and are comforted in rooms that hold that element of play and relaxation – so make sure they meet in these kind of surroundings. Make sure they have a clear exit and don’t feel trapped. Time the meeting for a time in the day when your cat is likely to be well-fed and relaxed. Food should not be a contributing factor to their mood. Remember birthday parties when you were a young child? The cake would come out and you’d nervously watch as it was cut up, distributed and got smaller and smaller, the fear mounting the maybe you wouldn’t get a piece!? This is how your kitty feels about a new addition to their home (yes, it is their home, you just live there). You might notice when your cat is feeding they glance over their shoulder to make sure no one is approaching to take their precious food from them. It is all about them building up trust with the new resident in the home until they no longer see them as a threat to their kitty paradise. Until that trust is built-up, give your cat some safe space by setting their water and food bowls higher up in the room, like on a counter. They will feel a sense of refuge and will be less likely to be startled. 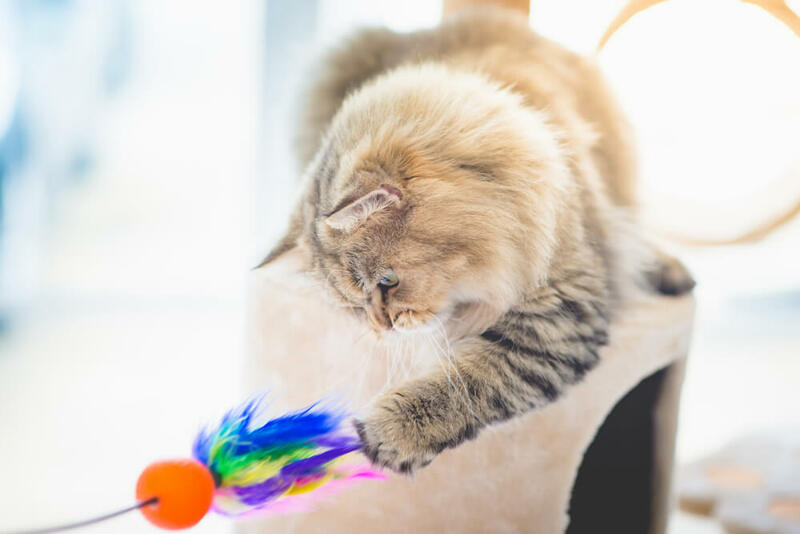 Inventing play sessions and spending time one-on-one bonding will show your cat that nothing’s changed, they’re still loved and you still have time for them. It’s also a break from the sense of uncertainty your new arrival has brought. Nothing breaks the mood like running for string and a good cuddle. In case you didn’t know, kitty is number 1, everything else comes after. This includes your new resident, no matter how adorable they are they are not going to be nearly as cute and cuddly as your kitty, so be sure to show this to your cat… and your new houseguest. 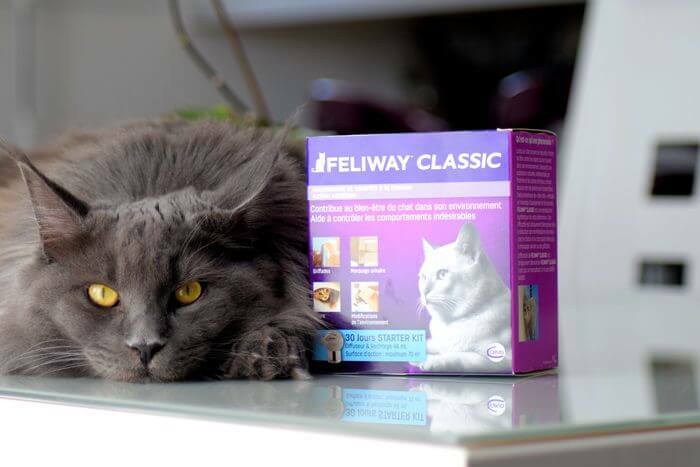 FELIWAY CLASSIC Diffuser is designed to calm your cat and if it identifies a certain room or nook in your home with a safe area it likes to escape to, well put it next to that. 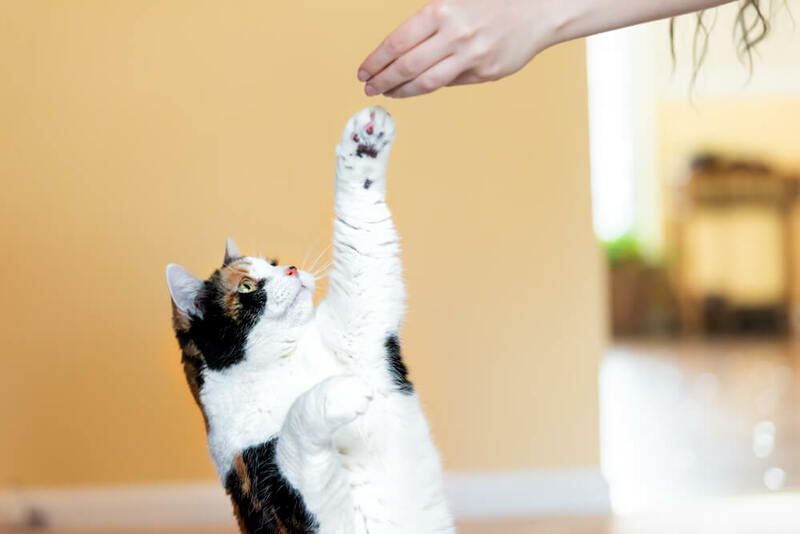 This is the place they will be spending a lot of time, given recent changes, and its harmonious effects on behaviour will be a huge source of comfort to your cat, and thereby you as well. Simply plug the diffuser into a socket, screwing the vial into the diffuser body. But avoid plugging it into sockets under shelves, behind doors, curtains or furniture otherwise it won’t work properly! If you love cats then you’ll want them to be best adjusted to the new people they’ll soon be spending more time with. If you keep everything else the same as before then your cat feels at ease with the minimal changes. Soon they’ll even learn how to participate willingly in company. Three doesn’t have to be a crowd with these easy-to-follow steps.